McDonald's is selling off most of its China business in a deal worth as much as $2.1 billion. Citic, a massive Chinese financial firm, is taking the majority stake in McDonald's (MCD) operations in mainland China and Hong Kong. U.S. private equity giant The Carlyle Group, is also buying into the investment combo, taking a 28% stake. McDonald's will hold the remaining 20% of the business. McDonald's CEO Steve Easterbrook said the fast food company's new partners would bring a better understanding of the Chinese market. The deal is the latest move in Easterbrook's efforts to overhaul the global burger chain. In the U.S., it has launched more customized sandwiches with fancier ingredients, introduced all-day breakfast to the menu and brought in touch screens and table service. Customers in China could also see changes soon. 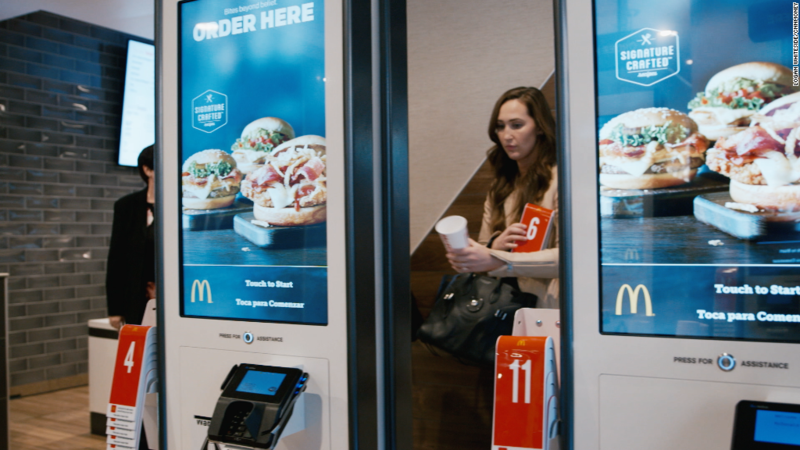 McDonald's says "menu innovation" and using digital technology are priorities for the new Chinese business. Bringing in Citic and Carlyle doesn't mean the McDonald's brand is pulling back in China, where the economy is slowing down after decades of rapid growth. The partners say they're aiming to open more than 1,500 new restaurants in China and Hong Kong over the next five years, with a focus on bringing the golden arches to smaller Chinese cities. McDonald's aim is to drastically reduce the number of stores it owns in favor of franchises. The China deal will enable it to slash its company-owned stores by 1,750. McDonald's announcement follows Yum Brands' spinoff of its China division late last year. The decision by the KFC parent came after pressure from activist shareholders. Both big U.S. fast food companies had suffered in China in recent years after food safety scandals. McDonald's and Yum (YUM) reported improving results at their Chinese businesses last year until they were hit by anti-U.S. protests in July.